Definition at line 225 of file stream-tcp-private.h. Definition at line 227 of file stream-tcp-private.h. Definition at line 85 of file stream-tcp-private.h. Definition at line 234 of file stream-tcp-private.h. Referenced by StreamTcpInlineSegmentCompare(), StreamTcpPacket(), StreamTcpThreadDeinit(), TcpSackCompare(), and TcpSegmentCompare(). Definition at line 238 of file stream-tcp-private.h. Referenced by StreamTcpReassembleDepthReached(), StreamTcpSackUpdatePacket(), StreamTcpThreadDeinit(), TcpSackCompare(), and TcpSegmentCompare(). Definition at line 237 of file stream-tcp-private.h. Referenced by StreamNeedsReassembly(), StreamTcpInlineSegmentCompare(), StreamTcpInlineSegmentReplacePacket(), StreamTcpReassembleDepthReached(), StreamTcpSackUpdatePacket(), StreamTcpThreadDeinit(), TcpSackCompare(), and TcpSegmentCompare(). Definition at line 236 of file stream-tcp-private.h. Definition at line 235 of file stream-tcp-private.h. Referenced by StreamTcpInlineSegmentCompare(), StreamTcpInlineSegmentReplacePacket(), StreamTcpReassembleDepthReached(), StreamTcpSackPruneList(), StreamTcpSegmentForEach(), StreamTcpThreadDeinit(), TcpSackCompare(), and TcpSegmentCompare(). Definition at line 131 of file stream-tcp-private.h. Referenced by StreamNeedsReassembly(), StreamReassembleRawUpdateProgress(), StreamTcpReassembleAppLayer(), and StreamTcpReassembleInsertSegment(). Definition at line 130 of file stream-tcp-private.h. Referenced by StreamNeedsReassembly(), StreamReassembleRawHasDataReady(), StreamReassembleRawUpdateProgress(), StreamTcpPruneSession(), StreamTcpReassembleDepthReached(), StreamTcpReassembleHandleSegmentHandleData(), StreamTcpReassembleInsertSegment(), and TcpSegmentCompare(). Definition at line 92 of file stream-tcp-private.h. Definition at line 133 of file stream-tcp-private.h. Definition at line 132 of file stream-tcp-private.h. Referenced by StreamNeedsReassembly(), StreamReassembleRaw(), StreamReassembleRawHasDataReady(), StreamReassembleRawUpdateProgress(), StreamTcpReassembleHandleSegmentHandleData(), and StreamTcpReassembleInsertSegment(). Definition at line 90 of file stream-tcp-private.h. Definition at line 89 of file stream-tcp-private.h. 3WHS confirmed by server – if suri sees 3whs ACK but server doesn't (pkt is lost on the way to server), SYN/ACK is retransmitted. If server sends normal packet we assume 3whs to be completed. Only used for SYN/ACK resend event. Definition at line 184 of file stream-tcp-private.h. Definition at line 171 of file stream-tcp-private.h. Definition at line 186 of file stream-tcp-private.h. Referenced by AppLayerHandleTCPData(), AppLayerParserRestoreParserTable(), SMTPParserCleanup(), StreamNeedsReassembly(), StreamReassembleRawUpdateProgress(), StreamTcpAppLayerIsDisabled(), StreamTcpPruneSession(), StreamTcpReassembleAppLayer(), StreamTcpReassembleHandleSegmentHandleData(), StreamTcpReassembleInsertSegment(), and StreamTcpSetSessionNoReassemblyFlag(). Flag to indicate that the session is handling asynchronous stream. Definition at line 168 of file stream-tcp-private.h. Referenced by StreamTcpPacket(), and StreamTcpThreadDeinit(). Definition at line 188 of file stream-tcp-private.h. Referenced by StreamTcpPacket(), and StreamTcpSetSessionBypassFlag(). Definition at line 176 of file stream-tcp-private.h. Definition at line 174 of file stream-tcp-private.h. Definition at line 157 of file stream-tcp-private.h. Referenced by AppLayerIncTxCounter(), StreamTcpReassembleHandleSegmentHandleData(), and StreamTcpThreadDeinit(). Definition at line 159 of file stream-tcp-private.h. Definition at line 161 of file stream-tcp-private.h. Definition at line 178 of file stream-tcp-private.h. Definition at line 165 of file stream-tcp-private.h. Definition at line 163 of file stream-tcp-private.h. Definition at line 35 of file stream-tcp-private.h. Definition at line 33 of file stream-tcp-private.h. Definition at line 34 of file stream-tcp-private.h. Definition at line 240 of file stream-tcp-private.h. Definition at line 210 of file stream-tcp-private.h. Definition at line 212 of file stream-tcp-private.h. Definition at line 201 of file stream-tcp-private.h. Referenced by DetectEngineInspectStream(), FlowGetDisruptionFlags(), StreamTcpPacket(), StreamTcpPruneSession(), StreamTcpReassembleDepthReached(), StreamTcpReassembleHandleSegment(), and StreamTcpReassembleHandleSegmentHandleData(). Definition at line 216 of file stream-tcp-private.h. Referenced by SigMatchSignaturesGetSgh(), StreamNeedsReassembly(), StreamReassembleRaw(), StreamReassembleRawHasDataReady(), StreamReassembleRawUpdateProgress(), StreamTcpInitConfig(), StreamTcpPruneSession(), and StreamTcpReassembleInsertSegment(). Definition at line 195 of file stream-tcp-private.h. Referenced by AppLayerIncTxCounter(), FlowGetDisruptionFlags(), StreamNeedsReassembly(), StreamReassembleRawUpdateProgress(), StreamTcpPacket(), StreamTcpPruneSession(), and StreamTcpReassembleInsertSegment(). Definition at line 199 of file stream-tcp-private.h. Definition at line 214 of file stream-tcp-private.h. Referenced by StreamReassembleRawUpdateProgress(), StreamTcpReassembleHandleSegmentHandleData(), StreamTcpSetDisableRawReassemblyFlag(), and StreamTcpSetSessionNoReassemblyFlag(). Definition at line 197 of file stream-tcp-private.h. Referenced by AppLayerIncTxCounter(), RegisterSSLParsers(), SMTPParserCleanup(), StreamReassembleLog(), StreamReassembleRaw(), StreamReassembleRawHasDataReady(), StreamReassembleRawUpdateProgress(), StreamTcpPacket(), StreamTcpPruneSession(), StreamTcpReassembleAppLayer(), StreamTcpReassembleHandleSegment(), and StreamTcpReassembleInsertSegment(). Definition at line 218 of file stream-tcp-private.h. Stream supports TIMESTAMP – used to set ssn STREAMTCP_FLAG_TIMESTAMP flag. Definition at line 206 of file stream-tcp-private.h. Definition at line 203 of file stream-tcp-private.h. Referenced by StreamReassembleRawUpdateProgress(), StreamTcpDetectLogFlush(), StreamTcpReassembleHandleSegmentHandleData(), and StreamTcpReassembleTriggerRawReassembly(). Definition at line 208 of file stream-tcp-private.h. Definition at line 279 of file stream-tcp-private.h. Definition at line 275 of file stream-tcp-private.h. Referenced by StreamNeedsReassembly(), and StreamTcpReassembleInsertSegment(). Definition at line 277 of file stream-tcp-private.h. Definition at line 246 of file stream-tcp-private.h. Referenced by StreamNeedsReassembly(), StreamTcpPacket(), StreamTcpReassembleHandleSegmentHandleData(), StreamTcpThreadDeinit(), and TcpSegmentCompare(). Definition at line 273 of file stream-tcp-private.h. Referenced by AppLayerHandleTCPData(), AppLayerIncTxCounter(), and StreamTcpDisableAppLayer(). Definition at line 82 of file stream-tcp-private.h. Referenced by StreamNeedsReassembly(), StreamTcpInlineSegmentReplacePacket(), StreamTcpPruneSession(), StreamTcpReassembleHandleSegmentHandleData(), StreamTcpReassembleInsertSegment(), StreamTcpUTAddSegmentWithByte(), StreamTcpUTAddSegmentWithPayload(), TcpSegmentCompare(), and TmModuleFlowRecyclerRegister(). Definition at line 83 of file stream-tcp-private.h. Definition at line 136 of file stream-tcp-private.h. Definition at line 61 of file stream-tcp-private.h. Referenced by DetectBytejumpDoMatch(), DetectFtpbounceRegister(), DetectPcrePayloadMatch(), SSLVersionToString(), StreamReassembleRawUpdateProgress(), StreamTcpCreateTestPacket(), UTHBuildPacketIPV6Real(), and UTHBuildPacketReal(). Definition at line 60 of file stream-tcp-private.h. Referenced by ActionInitConfig(), DetectAddressMapFree(), DetectBufferTypeGetByIdTransforms(), DetectBufferTypeMaxId(), DetectByteExtractDoMatch(), DetectBytejumpDoMatch(), DetectBytetestDoMatch(), DetectDceIfaceRegister(), DetectDceOpnumRegister(), DetectDetectionFilterRegister(), DetectDsizeRegister(), DetectEngineEventRegister(), DetectFastPatternRegister(), DetectFilesizeRegister(), DetectFilestoreRegister(), DetectFlagsRegister(), DetectFlowintMatch(), DetectFlowMatch(), DetectFlowvarMatch(), DetectFragBitsRegister(), DetectFragOffsetRegister(), DetectFtpdataRegister(), DetectIcmpIdRegister(), DetectIcmpSeqRegister(), DetectIdRegister(), DetectIPProtoRegister(), DetectIPRepRegister(), DetectIsdataatRegister(), DetectMarkRegister(), DetectNfsProcedureRegister(), DetectNfsVersionRegister(), DetectPcrePayloadMatch(), DetectPktvarRegister(), DetectReferenceFree(), DetectRpcRegister(), DetectSshSoftwareVersionRegister(), DetectSshVersionRegister(), DetectSslStateRegister(), DetectSslVersionRegister(), DetectStreamSizeRegister(), DetectTagRegister(), DetectTargetRegister(), DetectTemplate2Register(), DetectThresholdRegister(), DetectTlsRegister(), DetectTlsValidityRegister(), DetectTlsVersionRegister(), DetectTosRegister(), DetectTtlRegister(), DetectUrilenRegister(), DetectUrilenValidateContent(), DetectWindowRegister(), DetectXbitsRegister(), MimeDecAddEntity(), PacketAlertFinalize(), ParseSizeDeinit(), RegisterNFSTCPParsers(), SBB_RB_FIND_INCLUSIVE(), StreamingBufferFree(), StreamTcpReassembleInsertSegment(), TcpSackCompare(), TcpSegmentCompare(), and UTHCheckPacketMatchResults(). 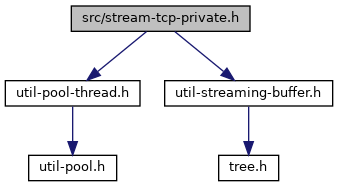 Definition at line 64 of file stream-tcp-private.h. Definition at line 62 of file stream-tcp-private.h. Referenced by DetectIcmpSeqRegister(), StreamTcpInlineSegmentCompare(), StreamTcpInlineSegmentReplacePacket(), StreamTcpReassembleDepthReached(), StreamTcpUTAddSegmentWithByte(), and StreamTcpUTAddSegmentWithPayload().